I love making Hi-Res Photoshop Brushes and giving them away, free for personal and commercial use. In order to reach a bigger audience I have decided to release the Messy Watercolours Brushes in conjunction with Smashing Magazine. With over 100k subscribers it is the perfect blog. The set has been split into two parts. Part 1 is released on Smashing Magazine. There are 12 high resolution brushes between 2156px and 2294px. Let me start of with wishing you all a very jolly Christmas. Today is the traditional Christmas present day. Though I don’t have a tree nor wrapping paper I still want to give you a present to celebrate the festive season. Rather than giving away another set of Photoshop brushes or textures I decided to make something more special: a “free” print design. I would have loved to send you all a finished print, but my financial means did not allow this. 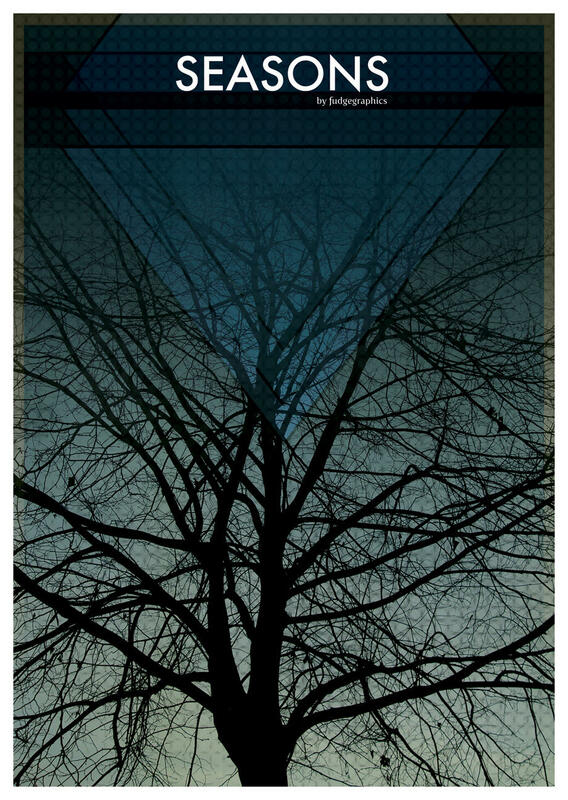 Instead you have the possibility to download the hi-res pdf (A3, 300dpi) of the print design entitled “Seasons”. Grab it and take it to your local print shop or simply use your home printer. You can choose between a blue or brown version (or both). I hope you like the present and don’t worry, I don’t expect anything in resturn. Happy Holidays! Colorcubic is the vision of founding partners Christy Lai and Michael John. The design studio is based in Portland, OR, United States. I did not find any more information on them. Ah well, just look at their beautiful design and get inspired. What I like most about the art is that each piece is different and yet they manage to keep a consistent syle (if that makes any sense). For even more inspiration visit Colorcubic on Behance and Flickr.